Even if the Android Q update is supposed to be all about improved privacy, the second beta still contains something new on the surface. Strictly speaking, this is a new edition of an old acquaintance: bubbles come back. Now they are entering the notification interface of the Android system, so they are no longer an overlay hack. 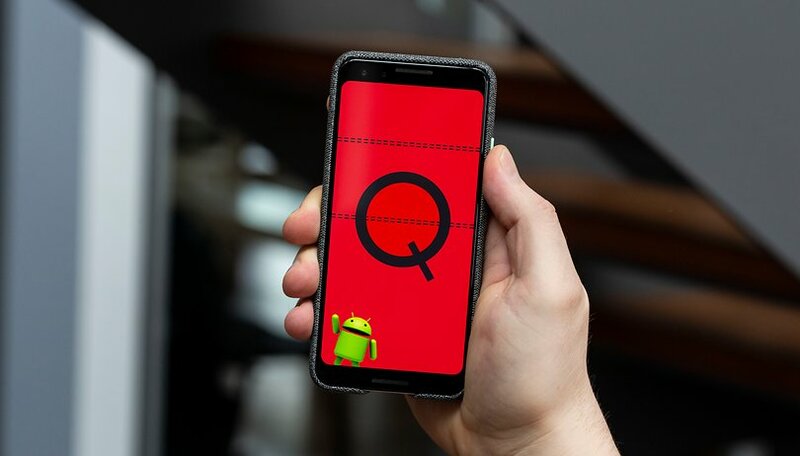 The second beta of Android Q follows three weeks after the first release. The sequel to Pie brings new features besides bugfixes and the April security patch. The most exciting thing should be the chat bubbles. They're back as part of the updated notification API. Bubbles became popular several years ago, largely thanks to Facebook Messenger, but their return was not acknowledged in Android Q Beta release notes. After the display overlay used by Facebook chatheads fell out of favor due to some malware abuses, Google and smartphone manufacturers apparently did not want to rob their users of the popular feature without replacement. Bubbles are part of the notification system and include an activity, an icon and a link to a person. On the picture shown in the message you can see that the one constantly floating bubble can be used by all apps. In the future, chat clients such as Signal, Telegram, WhatsApp and the like will be much more convenient to use. Google also changes Android's behavior regarding data stored in apps. Because in Android Q, all apps can't automatically write to shared memory without being asked, i.e. without you giving them memory permission. And that's a good thing, because she was a little too generous before. Once authorized, an app could read and delete everything. So if you receive a lot of pictures or videos in Android Q of a chat app that has been updated accordingly, these could no longer appear automatically in your gallery app in the future. The Scoped Storage creates a kind of storage bubble (sandbox) for each individual app. And this automatically ensures significantly better data protection. But if you want an app to handle data from other directories and apps, there are now new conventions for app developers and more precise control for you. The newly created Shared Collections - in Android Q these are supposed to be photos, videos, music or downloads - are open to all apps without being asked. The main point here is this: apps may read all files there, but only delete or modify the files that they created themselves. Each gallery app may then continue to display images from your WhatsApp chat, if WhatsApp then uses the shared photos collection. The gallery app may not delete or edit the WhatsApp images without your special permission, i.e. the storage permission. By November 2020 at the latest, when Google requires the Play Store to update all apps to raise the targetSdk version to Q, the new default behavior will become the standard. Accompanying the new Android-Q-Beta there is also a new Android Studio. Version 3.5 of the development environment can now emulate foldable smartphones. App developers can thus play with variable layouts of their apps. Even though little has been said about the hardware, we get a preview of the upcoming app chaos. Hopefully, thanks to this help, it will be a little milder. Google wants to show Google I/O more about Android Q at its in-house exhibition. This opens on 07 May and goes three days. Several of the lectures as well as the opening keynote will be streamed. The finished Android Q is expected to arrive in August. Check out our list of the devices that are expected to receive the Android 10 Q update to see if you will be one of the lucky early customers.